Stolen Moments offers a great selection of talented musicians. Whether you choose a keyboardist, acoustic guitarists, harpist, jazz trio, string trio, gypsy jazz or calypso trio there are no wrong choices. We will help you find an option that reflects your style and enhances the overall wedding music experience. Stolen Moments Entertainment is home to New York’s most popular harpist. Joy’s years of experience as a professional harpist have given her a wide repertoire of music to pull from and can give any event an atmosphere of romance and sophistication. Our classical trio is made up of a blend of strings and woodwinds or brass to create a fuller sound when performing favorites by Mozart and Vivaldi. Our modern strings ensemble uses the classical techniques to interpret contemporary favorites from Adele to Bruno Mars to Madonna. Enjoy pop standards from The Platters to Simon & Garfunkel to Panic! at the Disco. Our jazz trio uses the sax, upright bass, and piano to mix a traditional jazz style with dance standards from artists like Frank Sinatra and Tony Bennett. Our gypsy jazz ensemble is made up of two guitarists and an upright bassist. This style is notorious for its lack of brass and for its use of decorative arpeggios and pump style of strumming. 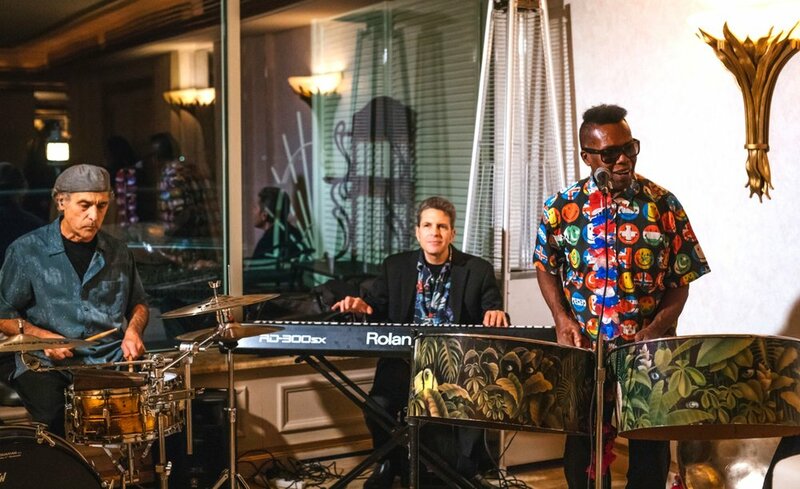 Bring the sound of the islands to your event with the steel drum, bass, and standard drum kit to create infectiously happy, beat-heavy music perfect for dancing.